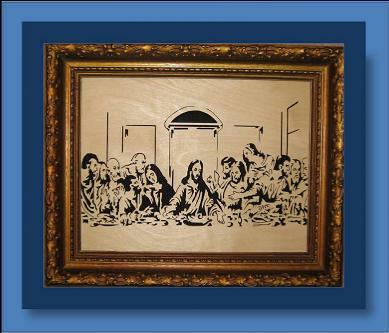 Spiritual scroll saw portraits were not a normal part of my scrolling life, however, I did get involved with a church project and donated a few items for a craft fair. 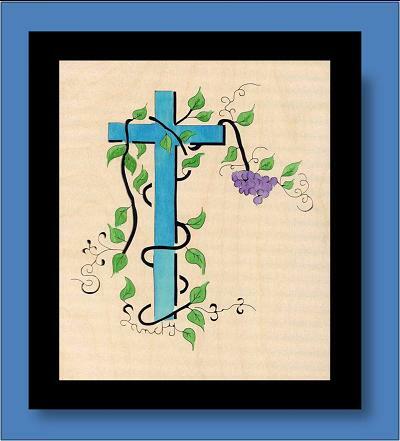 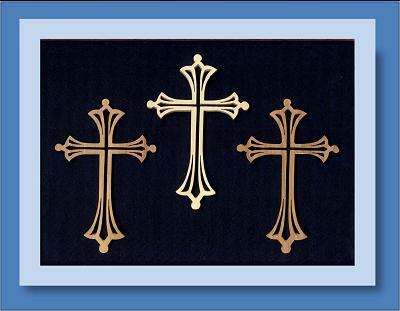 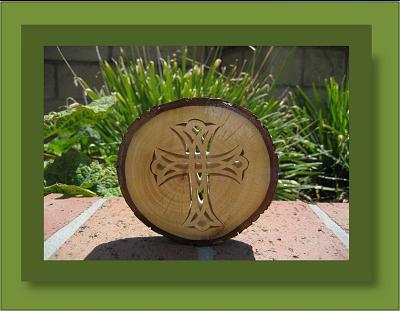 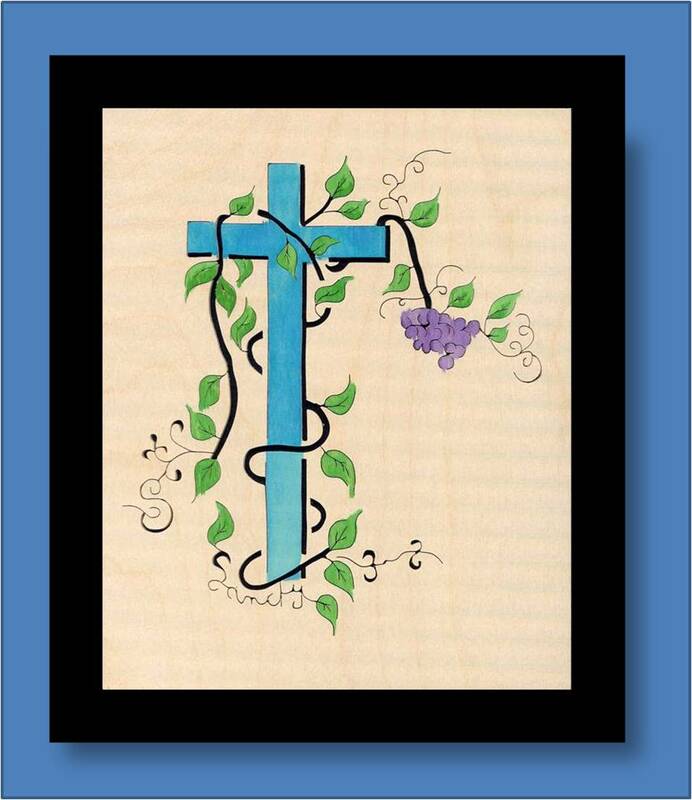 If you have Spiritual items you would like to see scrolled, send me an e-mail and I will attempt to create it. 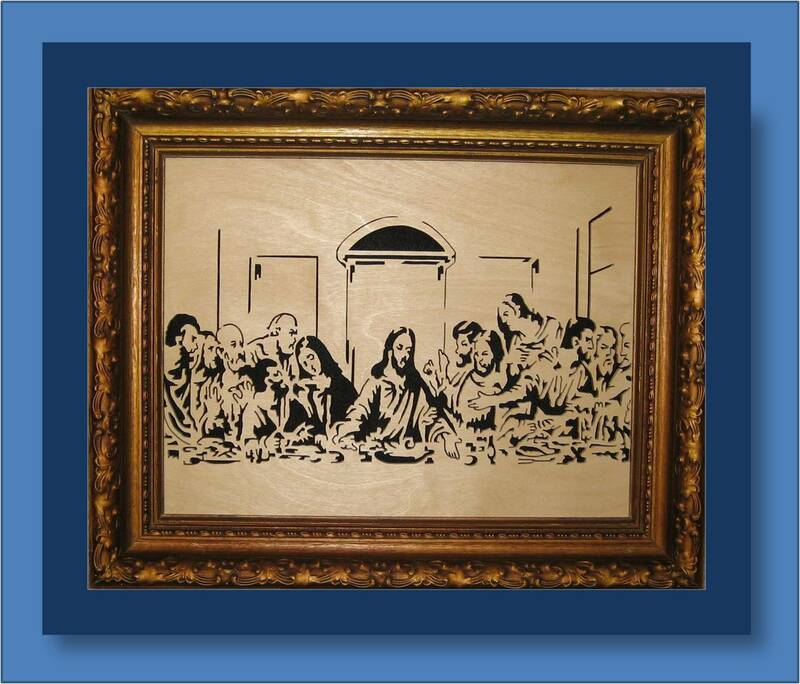 Unless otherwise specified, these scroll saw portraits are cut from 1/8" Baltic Birch plywood, backed with black felt, and secured in a standing/wall mount black 8" x 10" frame. 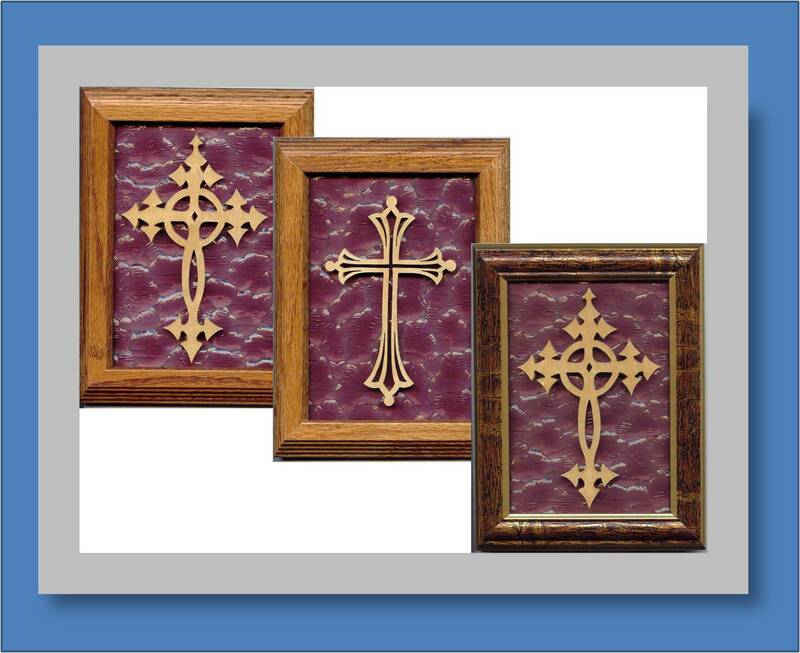 Average Price: $30.00 USD (excluding domestic shipping). that out grew its environment. 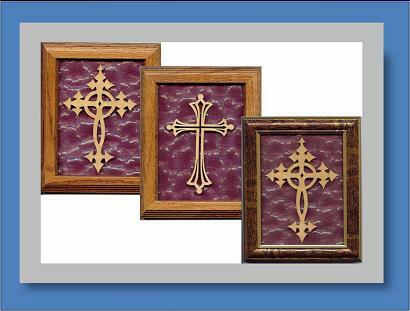 Various configurations of crosses mounted on the remnants of the church window glass after a fire. 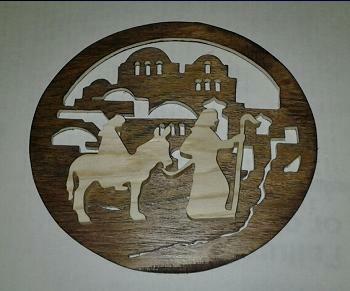 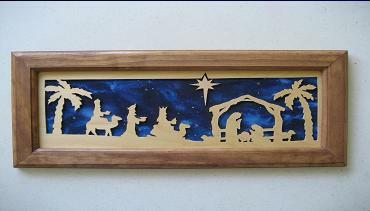 6" x 16" Nativity scene backed with scenery cloth. 4" diameter Christmas Tree Ornaments made from mahogany and pine.